Here is an updated list of print journals that accept online submissions. Note that some guidelines specify that the journal does not accept email submissions, but does accept via their online submission manager. Twelve journals have been added to this update. Each addition is indicated by a double asterisk. Gulf Stream has been deleted as it is now an online journal. Note that the number of issues per year appears after the journal's name. The reading period for each journal appears at the end of each entry. I was happy this week to receive notice that my poem, Prunis Persica, has received a Pushcart nomination from Redheaded Stepchild. This journal reads only poems that have been rejected elsewhere, which probably leaves most of us with plenty to choose from when putting together a submission. It's reaffirming to have my previously rejected poem receive this nice mark of approval. I was also delighted to find this list of recommended poetry books from Garrison Keillor's newsletter. Unlike some other recent lists, this one includes a number of women authors, one of whom is me! I was thrilled to find my book, What Feeds Us, listed here. If you purchase through the site, a portion of the price goes to NPR. And because good things must come in groups of three, I'm also pleased to direct you to a lovely new online journal, Melusine, where I have two poems, "Bathing in Forest Dusk," and "Implosion". I like the way this journal pairs art with the poems. 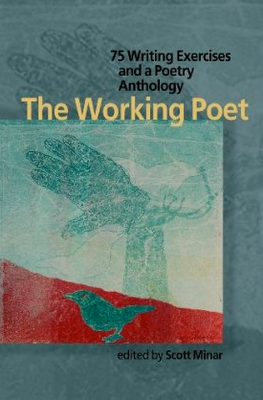 The Working Poet: 75 Writing Exercises and a Poetry Anthology has just been released by Autumn House Press. 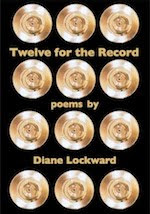 Edited by Scott Minar, the book gathers together 75 poetry prompts contributed by 52 poets, one of whom is me! The exercises are divided into 9 sections: Form and Structure, Word Play and Thought Experiments, Metamorphoses, Art to Art, The Personal Poem, Prosody and Rhetorical Strategies, Nature and Observation, Metapoetry, and Refining Poetry. This will be a very useful book to teachers and workshop leaders. It should also be a great source of inspiration for working poets whose muses refuse to visit on a daily basis. 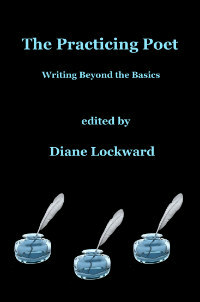 In fact, the title suggests the premise of the book, i.e., writing poetry is more work than inspiration. These exercises give us something to work with. I have circled page numbers for several dozen exercises that I plan to try myself. I've already got one underway, a sonnet exercise contributed by Pen Pearson. I also expect that many of these exercises will be useful to me when I visit schools. I'm always looking for new ideas. This book gives me many. Each exercise is accompanied by at least one sample poem to illustrate what might result from the exercise. Other possible sample poems are listed for the reader to find elsewhere. Some of the poets whose exercises are included: Terrance Hayes, Richard Jackson, Jan Beatty, Martha Silano, Sheryl St. Germain, Neil Carpathios, Christopher Buckley, Susan Rich, Robin Becker, and Susan Ludvigson. There are also two essays on poetry and teaching. My only complaint is the inclusion of the anthology of poems by 27 Autumn House poets. These poems follow the exercises and add an additional 100 pages to an already substantial book. There is no perceivable connection between the exercises and the anthology. Others may feel grateful to have the bonus of more poems; I'd prefer a lighter book. 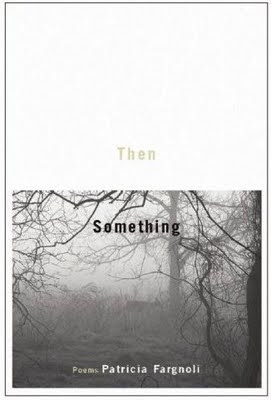 Here's good news: Patricia Fargnoli's third poetry book, Then, Something, is now available from Tupelo Press which published her last book, Duties of the Spirit. This new collection moves naturally and gracefully beyond the earlier one; it is both a continuation and an expansion. We find some of the same motifs that Fargnoli has explored before—aging, nature, family. But this collection is intriguingly united by other motifs as well. It opens with the poem, "Wherever you are going," our introduction to the idea of departure. This anticipation of leaving is then revisited in other poems staggered throughout the collection. In poems such as "Approaching Seventy" and "After the Dream of My Death," the speaker stands at the very threshold of old age and is keenly aware of moving closer to death. Appropriately, these themes are underscored by a walking motif that weaves in and out of the collection. We sense the speaker heading towards a destination or trying to find one. Nature is very much a part of this journey. Interlaced throughout the poems are numerous references to water—the ocean, lakes, snow, rain, fog. We also find numerous references to coldness and darkness, to alternating "flashes of light and shadow." We feel that the speaker is at odds with Nature, yet finds it a source of comfort. Such contrasts and conflicts provide a richly satisfying texture. While the sense of impending death is ever-present, the poems also convey a great hunger for life, for more of it. They are reflective, meditative, questioning. Not surprising then that Fargnoli uses questions as a rhetorical strategy. How fitting this is since the speaker is indeed questioning both her past and her future. This poet skillfully balances idea and technique and makes them work to support each other. is leaving again in my dream. and has gone on to the next. pale as she leans against the headboard. crying because her mother is crying. something terribly wrong in the room's raw light. There are two brown suitcases on the floor. In the other room, two aunts wait on the sofa. and no slowing it down. two blackbirds are flying through the wind-driven snow. Technically, in this collection Fargnoli reaches beyond what she has done before. For example, the entire second section is comprised of one long poem in 15 parts. Fargnoli also invents a new form in Lullaby for the Woman Who Walks into the Sea, a stunning poem recently featured on Poetry Daily. Here we find a good example of how effectively repetition can be used in the hands of a master poet. The repetitions capture the relentless, endless motion of the sea and create a chant-like, pounding music. Take a look at one more poem. Here Fargnoli undertakes the audacious task of defining what cannot be defined—and succeeds brilliantly via the use of negatives, images, and metaphors. She tells us what the soul is not, how our senses perceive it, and what it is like. Thus we come to know it. is not the deer that runs or falls in the snow. Someday watch smoke travel through the air. in the ocean. The soul does that. It doesn’t care whether or not you believe in it. that comes barking and wagging its tail. It is not, I am certain, biology. but it might be a praying mantis. full of fences and wildflowers. across a mountain whose shape mimics the clouds above it. of the body, it nevertheless bears us forward. The poems in this collection are tinged by sorrow. There's much to regret, much that's missing in the speaker's life. And yet, for the reader there is cause for celebration, even rejoicing, in finding a life so relentlessly confronted and so deeply felt. And there is joy in the sheer beauty of the poems. **The poems reprinted here appear in Patricia Fargnoli's book, Then, Something (Tupelo Press, 2009). Reprinted with permission. 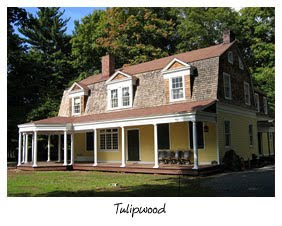 I'm reading this Saturday, November 7, at Tulipwood, 1165 Hamilton St., Somerset, NJ, at 2:00 PM. My co-reader will be Charles H. Johnson. I'm very much looking forward to the reading as it's in the restored Victorian house you see above. What a beautiful venue! Above is the side view of the house which was built in 1892 and purchased by the Township of Franklin in 2003 for Historic Preservation. 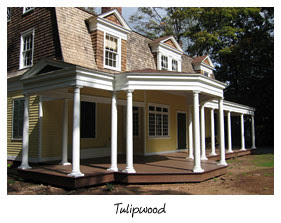 The Meadowlands Foundation, which is sponsoring the reading, then did the restoration. Admission is $10—and I'd like to think worth every penny! Please join us if you're in NJ. Everything about this collection says Love. Says Care. A quick look at the table of contents reveals that the book is organized the same way a menu might be organized in a fine Italian restaurant. The editors move us through Appetizers, Soups, First Course, Second Course, Vegetables, and Salads, and then to Desserts. Each section begins with 10 recipes. 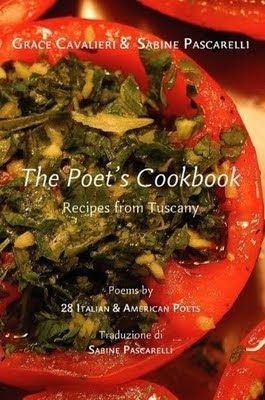 Those recipes are then followed by 3-10 poems, each about food and each appearing side by side with the Italian translation of the poem. All translations were done by Pascarelli. Here's a sampling of some of the recipes: Italian Mushroom Relish, Vegetable and Bread Soup, Sauteed Porcini Mushrooms with Polenta, Pork Roast in Chianti, Asparagus alla Farnesina, Sweet Corn and Radicchio Salad, and Chocolate Wine Cake. 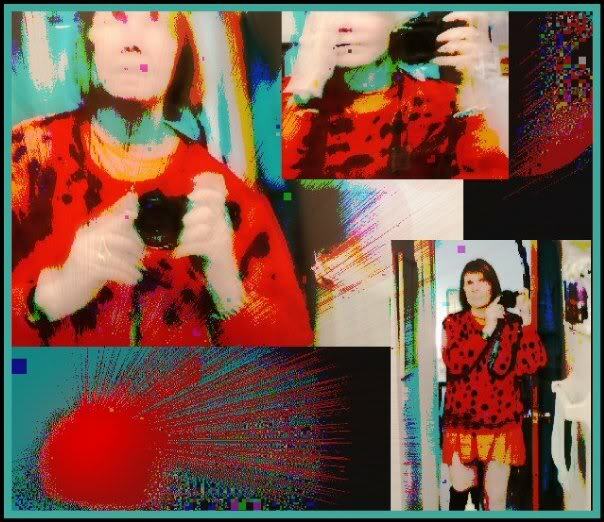 My poem, Linguini, is happy to be joined by poems from Karren Alenier, Cecily Angelton, David Budbill, Andrea Hollander Budy, Anne Caston, Jenny D'Angelo, Tina Daub, Moira Egan, Jean Emerson, Emily Ferrara, Nan Fry, Maria Mazziotti Gillan, Michael S. Glaser, Barbara Goldberg, Patricia Gray, Carole Wagner Greenwood, Rod Jellema, Calder Lowe, Judy Neri, Linda Pastan, Alexis Rotella, Carly Sachs, Vivian Shipley, Rose Solari, Christine Sostarich, Katherine Williams, and Ernie Wormwood. I've already sent out one copy as a thank-you gift. I think this book also makes a perfect holiday gift. Put it on your list.